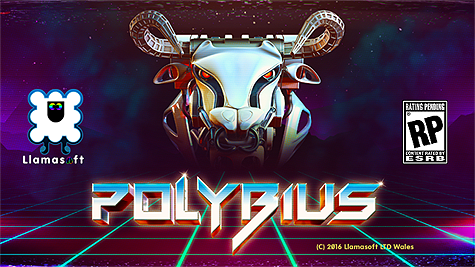 Polybius for PS4 is finally out ! Get it here !! Finally the legend is no longer just an unconfirmed rumour, it's a REALITY, after an experience with the real thing Llamasoft decided to take the step to re-build its own version of this too-dangerous-to-be-played game ! We took out all the bad stuff and let only the good in .. and .. we left a few tricks in as well. Check this page for more details about it. The latest release for PSVita is HERE! 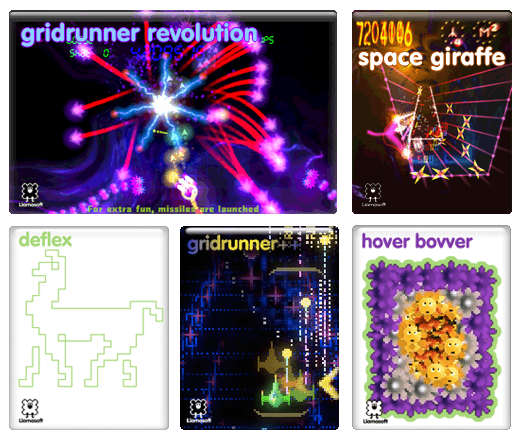 Softography, a Llamasoft software archive. By blending modern technology with old skool style "We'got something for everyone"
From classic shoot 'em ups to plattform games with a twist to puzzle and relaxing games with a pinch of New Age there's something to experience for every age and every taste. 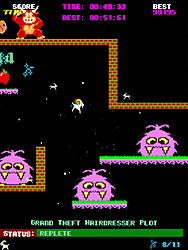 Llamasoft been more than once described as "The king of retro" this does not mean we are giving you something old but that we are giving you that kind excitement and challenge that was on the real Arcade games. Retro is NOT playing old games with pixelated graphic and tears of nostalgia coming down your eyes, it's playing a game that gives you the same kind of thrills and emotions those games were giving you in those times. You don't know what I am talking about ? No worries ! There is one way to know, TRY our games and experience it by yourself ! As explained in another long post, the iOS/OSX adventure for us went a bit different than expected. Despite getting fantastic reviews from many sites and happy customers the super aggressive low pricing, the birth of IAPs and ads in the games, the extreme fight for the top 10 and other issues made the whole iOS/OSX market not viable for us. In short, without shame and embellishments, we did not make enough money at all to allow us to continue that road, we tried but we could not go on, instead of a way to live it turned out a money loss for us plus the constant grinding to have to keep applications up to date chasing the ever changing OSes releases making this or that requiring fitting to work again. We have plans in a future to maybe re-vitalize and work again on the Minotaur Project, that we found very interesting, however we can not make big promises about when of if we'll be in those systems, that we still love, again. It's really a marketing model that at least for now proven simply too hard for us to be in. We are sorry for all the people missing our SW in those systems. Indie Statik said : "For the caprine game designer within you. The one who likes eating flowers and farting on Manic Miner enemies. You know it makes sense." 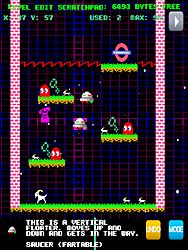 Edge online who rated the game 8/10 said : "Brought to life with Llamasoft's trademark luminous lines and slapstick sound effects, this is a more open, autonomous and traditional platformer than Goat Up". Unleash your inner Matthew Smith with Goatup 2! GoatUp 2 is the followup to our popular game GoatUp, hailed by its users as "the goatiest platform game on all of iOS". 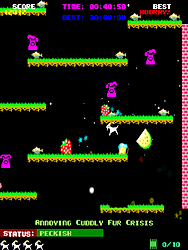 Whereas GoatUp was a continuous-climbing game, GoatUp 2 delivers more traditional platforming action across a variety of self-contained levels. Go for the highest score, or see how fast you can complete a level, and check your prowess against the rest of the goats in the world on the Game Center leader boards. Frolic, leap, fart on the heads of your enemies, swim, reverse gravity, eat grass, travel on lifts - a world of capricious capering awaits you. Highly reccomended to everyone fond of plattform games and puzzles.